Career Change Success Stories – What Are The Things To Consider For Career Change Success? If you stumble upon this page for career change success stories, you are likely to be looking for a career change. Whether you are a newbie at work or a veteran, career change thoughts or even the decision to make a career change can happen. Your habits will tell you this is a scary thought. And it is. After all, we all have financial obligations to fulfill and some of us look to work as more than just a way to make money. Given that work is important in our lives, it is a big decision. Is there a formula to career change success? What are some of the career change success stories out there? What are some of the things to consider when looking for a career change? This is a good start, but it is only a start and part of the process to get to know yourself better. You are constantly evolving based on the experiences you go through daily. Some will leave an impact on you and make you decide on certain actions in the future. The self you know changes through experience, and this experience of seeking to change your career will also give you an opportunity to know yourself better. I once joined a software company with a dot com as a façade in the early 90’s from the world of advertising. It was the worst leap I made, but it taught me what I did not know about myself. In considering that move, I thought my discipline and can-do attitude would see me through. How wrong I was! Conventional wisdom says, know yourself and decide. But in reality, as we decide we get to know ourselves better. Conventional wisdom also tells you to talk to experts, mentors, bosses and family. Depending on your attitude, you are likely to look for people who will tell you things you want to hear. Chances are even when you stumble upon people who may tell you the truth, you are unlikely to listen to them as you are probably looking for someone to reinforce what you have already decided. How much does consulting others work? I believe it works as a sounding board; we need to speak to close ones, unbiased ones and also our own research. I believe you need to hear bias advice, the wisdom to distinguish one when you hear it, anxiety from loved ones, and what you discover in your own research. That way, you can triangulate a platform for which you can decide and act. People often think career change is a one decision, one leap and one change. It is hardly so, which is why there is a lot of anxiety involved - stress and perhaps even embarrassment. When I quit from the software company after 3 months, I had to grapple with my own decision to quit. After all, the first company I worked with I stayed on for 7 years and I was quite proud of the ‘achievement’. Often career change success is not a one decision, one change and one success. It is a process that goes back and forth and with a lot of detour. That way you get to know yourself better and the process unveils insights to you that you may not have known. So, career change success stories are not linear. What now? The important thing in getting to career change is to start doing what you think you like doing. For example, if you like going into training, then perhaps start by conducting small training clinics within your unit or your own group. See how that works out, you may discover you actually like it and up that involvement a little more. Then again, you may discover you may not like it. The key is to do first, the plan, then feel how you like it. It goes against what people usually advise – plan the change, see how you feel about it, then take action. When one follows this path, it brings a lot of anxiety due to the uncertainties hence people never make that change or end up doing the same thing they have been trying to avoid. When you do, plan, feel, you will expose yourself to different people and experiences. This will allow you to know what the opportunities out there are. The dots are all there, what you need to do is recognize them and connect those dots. A path can appear and it will be less scary. Many people with career change success stories managed to recognize these dots and connect them. For example, in the case of training above – you may then start to talk to trainers about your interests and see if there are opportunities for part-time work. In that case, you may even be paid to experiment with something you think you are interested. This experience will also expose you to a different group of people and it opens up opportunities you may not be exposed to before. These trainers may then introduce you to human resource department people, yet more contacts. When you have – (1) do, plan, feel and (2) connect more dots, you would now have a better idea of what are the opportunities out there. Sometimes, these experiments or explorations may even open up more opportunities and connections. This is where you ask yourself, what’s the answer? What is the direction you should take for your career change success? What is different about their career change success stories? Many others have gone through career change and have been successful at it. You too will find your path. These are their career change success stories and advice. Do you know any other career change success stories? Or you may have your own career change success story, share it with the rest below. You have just graduated, and you are wondering "what job suits me"? Ideally, this should not have occurred if there was sufficient self-awareness and planning. That’s all water under the bridge now. Let’s move on to find a solution for it. Have a career success philosophy that guides you through your journey of the workplace. How to get ahead in the workplace? Get the details right. Here's how you do it. Have you ever tried writing your dream job description? If you have not, how do you know what your dream job is? What is the importance of job satisfaction in ensuring your happiness at work? Quit your job? Thought it through yet? What are the questions to ask yourself? Getting stuck in a career rut is tough. You feel unmotivated; you don’t know where you are going. Yet you are somewhat comfortable where you are. What can you do? New Year Career Resolution: What do you do if you do not know your calling yet? New answers to discover your new year career resolution and making a diffence - now. 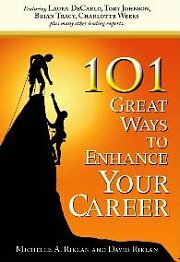 For more readings related to career change success stories, click here.